We have tried many different ways to treat a subterranean termite infestation. Some of the termite control measure that we have tried include spraying liquid termiticide, dusting, foaming and termite baiting systems. 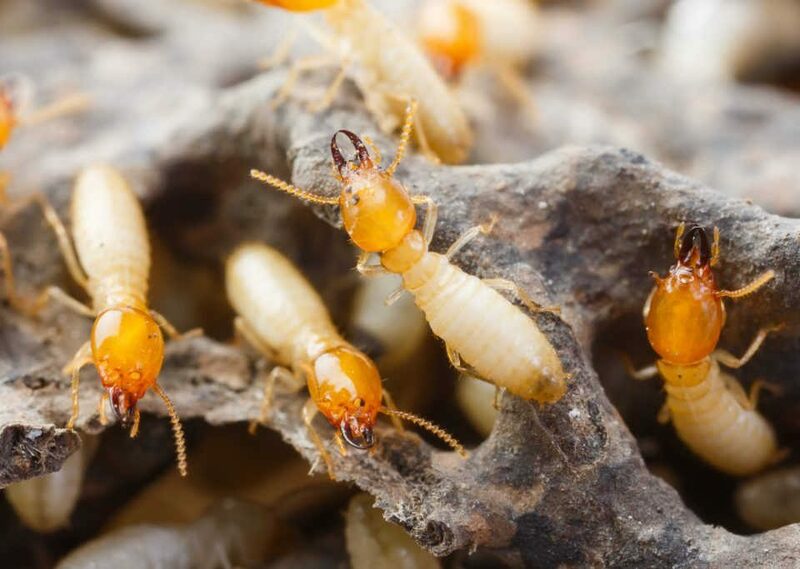 While treating a drywood termite infestations and any termite swarmers works best with liquid treatment, it is not the best option for subterranean termite. The type of termite species also play a part. For example, the more common type of subterranean termite that can be found in the United states is the Reticulitermes flavipes, the eastern subterranean termite. In Singapore, though, the asian subterranean termite, Coptotermes Gestroi is the number one type of subterranean termite found. 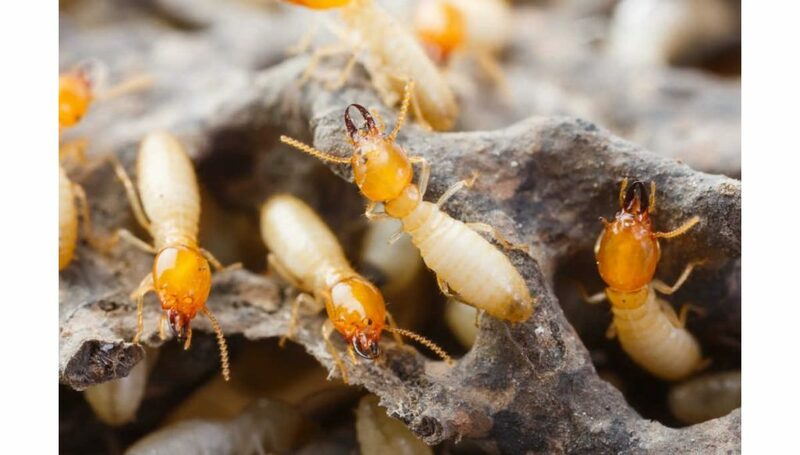 Before we break it down why termite baiting is a more effective treatment for subterranean termite, you would need to understand termite social system. 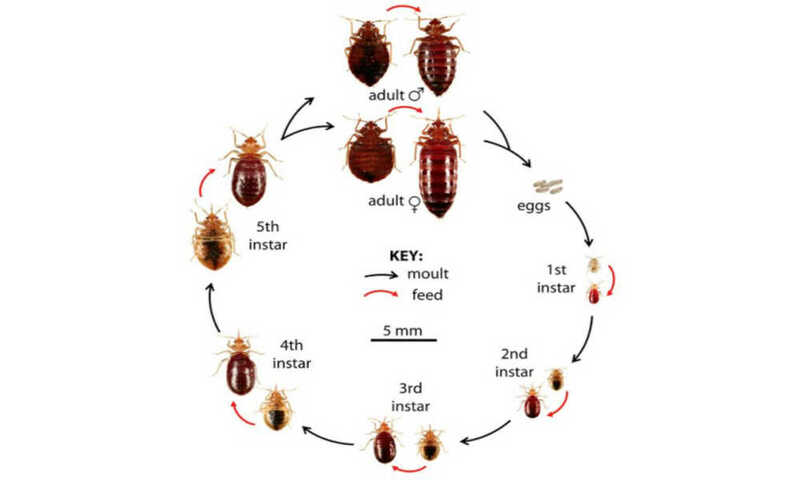 All the different group has its own tasks and are structured to keep the colony growing. The queen termite lay about 20,000 eggs a day and this is why killing the queen will stop the infestation. However, it is close to impossible finding the nest and getting to the queen. Subterranean termites can travel up to 100 metres to look for food. With this in mind, digging for the nest. Not such a good idea. So the next best thing is to ensure that the termite treatment will kill the queen. Somehow and eventually. 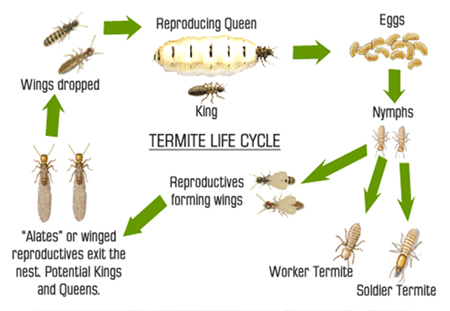 From the termite social structure, we understand that the worker termites are responsible to feed the termite colony. Without the worker termites bringing the food back, the colony won’t be able to survive long. But bear in mind, as mentioned, the queens lay about 20,000 eggs a day. 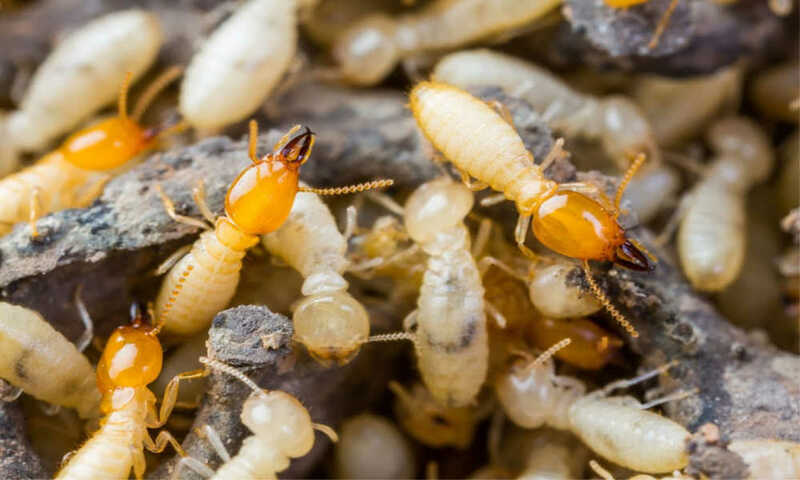 Unless by using a method that enables us to kill more than 20,000 subterranean termites each time, each day, the colony will soon be able to sustain and survive. They are some debates, of course, that pest management treatment such as dusting and liquid termiticide can work for the subterranean termite. We, however, look at the overview structure of a subterranean termite to solve the problem at hand. A slow acting process means that the worker termite do not die before they get to the nest. The termite bait will be able to get to the queen, the soldiers, young nymph and the rest of the colony. Of course, eventually the workers will be affected and they will slowly die. Thus, stopping the queen from producing more and cutting out the food source to the termite colony. Yes. We are more than happy to see them. The moment we do not see them, we will be wondering where are they. Once we finally discover where they are, it could be too late. Your whole cupboard could be left with nothing. Using baits station allow us to monitor them and also understand the ratio of the workers and soldiers. We know that if the worker population lessen with time, the whole colony will collapse due to not having enough food supply. What termite are after cellulose, an organic fibre found in wood. The termite does not carry the wood back to the colony. ( that will be quite a sight though if they can.) Instead, they are able to digest the wood and break it down to what they need. They are able to digest the cellulose with the help of microorganisms in their guts. Termite baits enable them to skip this process and get them the cellulose they are after, faster. In a layman term way to explain, someone who is looking to build muscle, eat chicken breast for the protein. However, taking protein shakes also enable them to get their protein. Faster and easier. Likewise, the termite will be drawn to the termite baits more often than not. Termite baiting work on the natural behaviour of termites. Like all social insects, termites groom each other and share their food. This process is called trophallaxis. Trophallaxis is the transfer of food or other fluids within the colony. By understanding this behaviour, we can safely say that termite baits will be shared through all the groups in the colony. 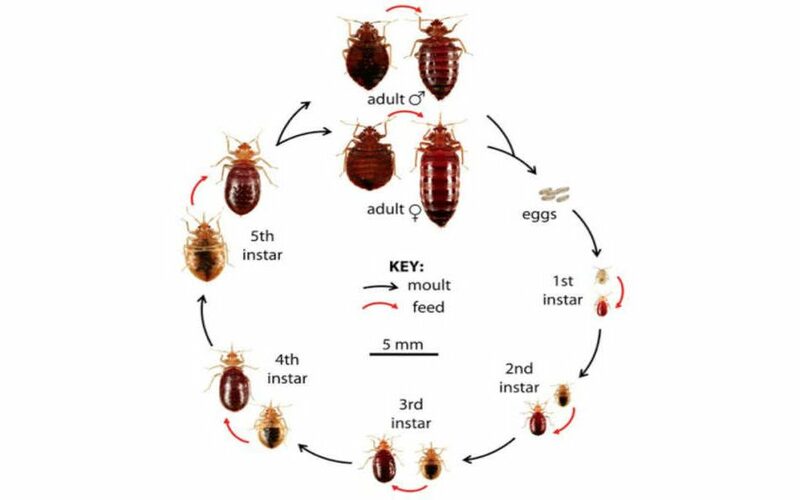 Innovative Pest Management handles all sort of termite control solution. A proactive pest control program for termite is always important. Taking up prevention measures such as an anti-termite treatment where a liquid barrier is formed around the premise and using repellent termiticides to protect your home and premise. Learn more about it here. Call us at 6100 5266 or email us at admin@innovativepest.sg for a free termite inspection today.